After sharing a long-time friendship and touring history, current CMA nominated act Lady Antebellum and multi-Platinum selling artist Darius Rucker wrapped their co-headlining Summer Plays On Tour this past weekend on the East Coast. Throughout the summer run, “two of Country music’s most upbeat and crowd-pleasing artists” (Tampa Bay Times) brought “the best of both worlds” (Indianapolis Star), while delivering “a jukebox worth of hits” (The Oakland Press). Both acts, along with opener Russell Dickerson, offered unique and spontaneous collaborations with their "action-packed sets" (PEOPLE) each night, with a portion of every ticket sale going to LadyAID and Just Be You art therapy. 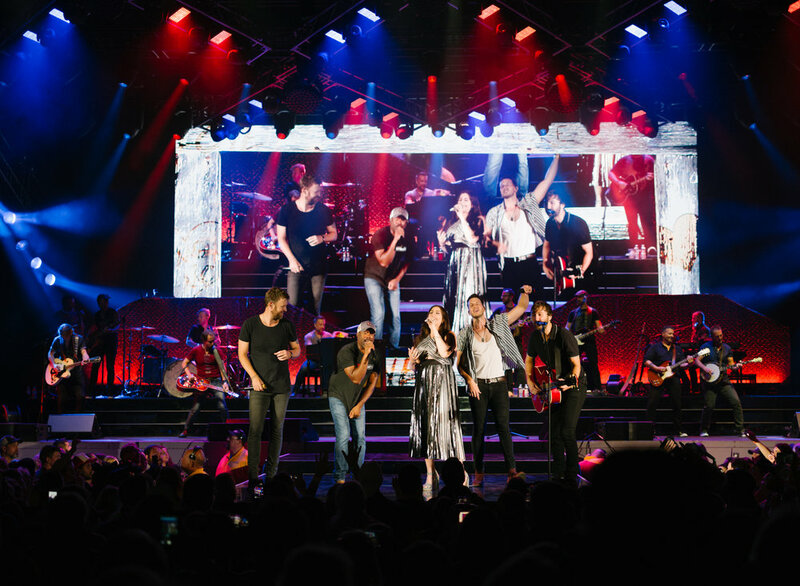 With “plenty of energy and vigor” (Phoenix News Times) Rucker and Lady A were praised by critics during the tour as “one of the biggest mainstream country pairings of the summer” (Cleveland Plain Dealer).